It's not often the Shields Gazette posts a photo of Duke Ellington and his Orchestra - in fact, the photo that appeared in Monday's edition may well have been the first picture of Duke in the 169 years of its existence! So what prompted this near full page spread? 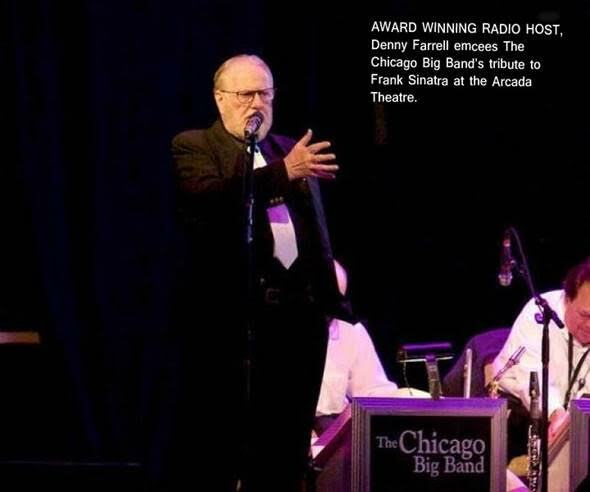 Well, Chicago based DJ and big band/jazz fan, Denny Farrell hosts a long-running late night radio show in the windy city - the sort of station where I could imagine a caller ringing up in the early hours and saying "Play Misty for me". The Gazette connection came about via Farrell's friendship with the late Frank Wappat who was a well-known disc jockey on Radio Newcastle and was born in Hebburn. He died in 2014. 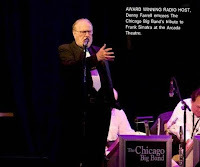 I've been listening to his [Denny Farrell] latest broadcast on LNCR and his taste is impeccable - Mary-Lou Williams, Dave Brubeck, Dinah Washington, Joe Pass, Duke and Rosie [Clooney], Art Tatum and Cozy Cole to mention but a few. All introduced by Farrell in his deep, resonant, bass voice - they don't come any cooler than this!